But then I’d hear their friends say it, too. On the way to work lately, I’ve been listening to a CD on grammar. The lady writing the book said that someone had done a research paper on the “on accident” or “by accident” confusion. Funny. After doing mountains of digging into word usage archives, the writer of the paper couldn’t figure it out either. Grammatarians (not sure that’s a word, but you know what I mean) are perplexed. Where did this come from? And it’s not by accident I’m writing this. So while the 9yo and I were on her BD trip to Jelly Belly we decided to go up the road a little farther for some kringle. That stuff you get in grocery stores, wrapped in plastic, is NOT kringle and especially NOT Racine kringle even though it says Racine kringle right on the label. I mean, maybe it’s from Racine and maybe it’s a faux kringle, but it’s not the real thing. Of course, once we got to town, I was in home territory; the place where we moved when the kids were in 2nd and 3rd grade and where we moved from when they were in their 2nd and 3rd years of college. Other than the kringle and actually much more importantly than the kringle, the thing I liked about living in Racine was the close proximity to Lake Michigan. Our house was less than a mile away and often at night when all was still and quiet, we could hear the fog horn from one of the signal towers (and the peacocks screeching at the lakeside zoo). I would sit at my desk writing for a few hours and then, for a break, get on my bike and head down to the beach. Immediately, I was removed from the drudgery of the day and away to somewhere vacation-like. Whenever we had visitors in town, we took them there. So I have a multitude of pictures of Wind Point with a multitude of various friends posing in front of the lighthouse. We drove through town, passing the house and the school where the 9yo’s mom attended. The 9yo had been to Racine before, but the last time she was there, she was only 4 and didn’t quite understand. This time she did, especially when I said her mom lived there when she was 9. She grew thoughtful and then said, “I wish I had a built-in time machine so I could see my mom here when she was my age.” Pause, and then (knowing how to charm me) added, “I’m glad I’m getting to see it all with her mom.” Sigh. We then headed out to Wind Point. I can’t remember the last time I was there, but the grounds (always well kept) are different. They’ve made a little garden area with flowers and benches and have also turned one of the out buildings into a tiny museum and gift shop. If you like lighthouses, Wind Point is a great visit. Always weddings at Wind Point. I’ve seen wedding parties waiting for their turn to get photos by the lake. Almost halfway through the year and I’m on schedule for reading 100 books. Here are some new recommendations. 44. 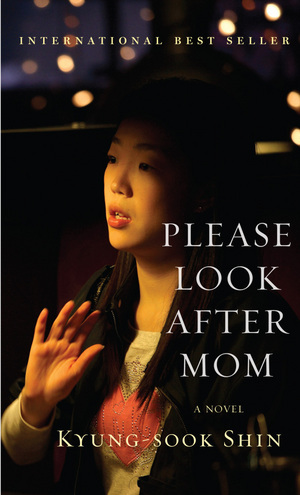 Please Look After Mom by Kyung-Sook Shin – True, there is nothing new under the sun, but this book was indeed different from most I’ve read. Actually, I listened to this on CD and I’m glad I did – listening to it, rather than actually reading it gave me a good sense of the cadence in the writing which I think was due to the the book being translated from Korean. This is a look at a family – a father and mother and three grown children – an older married daughter, a son and a younger, career-successful daughter. The father and mother have taken the train into Seoul, but somehow at the station, the father loses the mother. The book is the story of the family, told from each of their perspectives, as they look for the mom. As you move through the book, you peel back layers of the family history and what brought them to this point. The other plus to this book is the glimpse into Korean culture. If you want something unusual – here is your book. 46. The Privilege of Persecution by Dr. Carl A. Moeller and David W. Hegg. This is another freebie I found on my chair at the EPA conference and another thought-provoking book. This is not a “feel-guilty-because-you-have-so-much” book but rather a look at the people of the persecuted church and their view of Christianity. 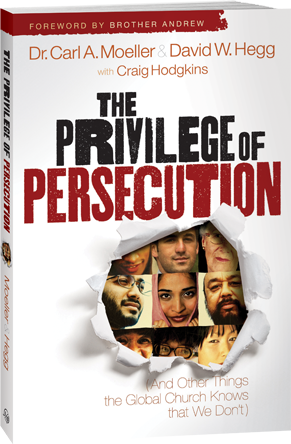 The authors take us through several areas of the church: prayer, worship, etc., and how those aspects are different for the persecuted than they are for us. Again, this is another thought-provoking book. Fairly new and published by Moody, it is easy to find. This is a fiction book about a couple who has started a Christian ministry of speaking and writing. But then everything falls apart. Someone has embezzled money (I won’t tell you who) and someone else has a serious health need. (I won’t tell you who.) Meanwhile the daughter, Jessie, feels neglected as her parents dedicate all their time to helping others. Again – a different subject. 49. 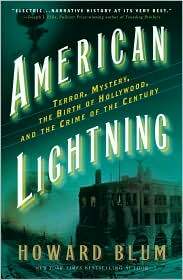 American Lightning by Howard Blum. Usually I like books like this – but I think listening to this on CD sort of spoiled it. The reader was slow and my mind would wander between his words. Still, if you’re into history – you might enjoy this. In 1911 the Los Angeles Times building was bombed, killing 21 people. Many more were wounded. This was actually part of a plan to bomb 100 American Cities by the Iron Workers Union leaders – the McNamaras. Called by many – the crime of the century. Most of the book centered on Billy Burns, detective who figured out who “done it.” Clarence Darrow was the defense attorney and was accused of bribing the jury. So if you like history, read it – but don’t listen to it. Hat Rapids Dam which wasn’t nearly as exciting as some other places I’ve been in my life – but it was fun wandering around with my son. Now, is this not a picture of the All-American 8yo – proudly holding his toad? One of the many camps I went to as a kid. spring had sprung at the ball park where RBC tied their game 14-14 – called because of darkness. For those of you who know Sonja – this great exciting tourist attraction is in the town where she grew up. The 11yo likes tennis and is going to tennis camp this summer. The 8yo gets ready to dig into his cake. Waiting for her brother to open his presents. Last Monday, Memorial Day, we headed over to Dunbar to Twelve Foot Falls County Park. Except the first falls we saw was Eighteen Foot Falls. And then Eight Foot Falls. The day was beautiful and although there were people around at Twelve Foot – we basically had the other three to ourselves. I think this is Horseshoe Falls – they’ve sort of merged in my memory. Munchkins playing in the water at Twelve Foot Falls. Cindy dropped a piece of watermelon in the dirt, so she tossed it aside for an animal to find – but it landed in the tree. An hour later, it was still there. Lots of trillium all over the place. Very cool. Once upon a time – April 20, 1934 to be exact. John Dillinger and his cohorts (including Baby Face Nelson) headed north to hide out at Little Bohemia Lodge in Manitowish Waters, Wisconsin. They told the owners that they had come in peace and only wanted a safe place to retreat. But wherever the owners went, one of John Dillinger’s men followed them. However, the owner’s wife and her brother managed to get to the post office and mail a letter to the U.S. Attorney’s Office in Chicago. The men there contacted the FBI. Two days later, a bunch of agents showed up. Dogs barked, but the Dillinger guys didn’t notice since the dogs were always barking. But then the FBI shot at three innocent bystanders who happened to be in the wrong place at the wrong time and John Dillinger and his men were tipped off. Suddenly a massive shoot out broke out. And unbelievably Dillinger’s men all escaped (though an agent was shot). A few years back, Little Bohemia once again was in the news when a scene with Johnny Depp was shot (no pun intended) there for the movie Public Enemies. Seventy-seven years later, a young boy turned eight. And so we decided to go to Little Bohemia. The $5.00 each to go upstairs and see the rooms was overpriced. They could do more with it. So, I’m glad we went up, but I wouldn’t do it again – though I would eat there again. The 8yo was duly impressed. The 8yo was allowed to order anything, so he ordered steak and eggs – and truly enjoyed it. Dillinger and two of the others escaped down the hill to the lake and took off along the shore. Checking out the newspapers in the lobby.